If you ask the dietician about types of diets that have been found, he/she may answer a lot. 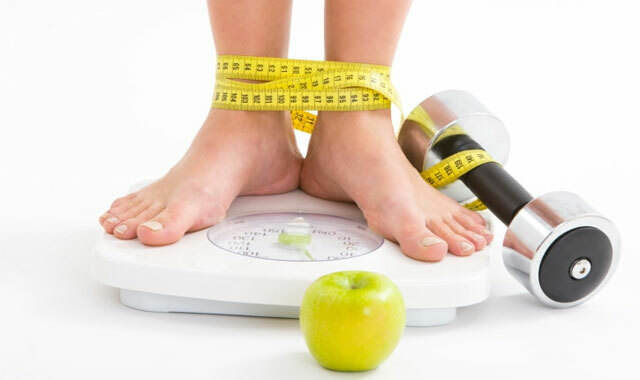 Some diets have ridiculous rules that would discouraged the less-motivated individuals to follow the diets until loose the weight and some diets have simple rules that you would not realize you already loose pounds of weight. Below are the 3 types of diets for quick weight loss that are proven to be the best in the weight loss diet’s world. Weight Watchers Diet basically does not have the ground rules what foods you must eat in time you follow the program. It allows you eat anything as long as the food you ate have points that are not exceeded the daily target points. These daily target points are calculated by a program called SmartPoints based on gender, age, weight and height. SmartPoints would emphasize the meal plans with low saturated fats, low sugar, low calories and high protein foods. The more calories in the foods it will increase the point values and the more protein in the foods it will reduce the point values. So if you want to eat the food with highest point values like Bolognese, you should cut its portions so its points still in range of your daily target points. The downsides from this diet are you must constantly tally your daily intake points and the Weight Watchers Diet is pricey. At the beginning you must pay a starter member fee then pay monthly for the online program. The Weight Watchers Diet offers the chance for meeting with the other dieter and getting the personal coach. However there are cost that you should pay for attending the meeting and getting the personal coach. HMR (Health Management Resources) Program. This diet gives the dieters the lesson about healthy lifestyle strategies then emphasize to reduce calories in the meal by adding the fruits and vegetables and increase the daily physical activities. HMR program offers the HMR meal replacements to substitute the highly calorie meals. These meal replacements are in the forms of shakes, meal, nutrition bars and multigrain cereals. The physical activities is essential for the successful diets for quick weight loss, at least dieters do mild exercise like 10-20 minutes of walking per day. The downsides of HMR program are the foods you can eat are limited. You only can eat fruit and vegetables or mix with HMR meal replacement if you want to vary your choice of foods. This diet suggests six weeks of healthy food and regular exercise as the start of loosing weight program. The dieters who want to follow this diet program are suggested to buy the Biggest Loser book where it explains about the nutrition regimen. The program suggests the dieters to eat the four servings of vegetables and fruits, three servings of proteins, two servings of whole grains and if you want the dessert, it should be no more than 200 calories per day. These servings’ calculation would make total calorie intake of 45% carbohydrates, 30% protein and 25% fats. Beside the calorie restriction, the program also suggests the exercise regimen tactics. This program even has the resorts for the dieters who want consult with the personal coach, the dietician and wellness counselor. The downsides of Biggest Loser Diet are the cost the dieters should pay for the whole program. The dieters should buy the book for them understanding about the program, then how about the videos they should subscribe for getting the instructions of eight weeks daily exercises. However for the upsides, there are no limited choice of foods as long as the dieters could follow what the program has been suggested. And with the emphasis on regular exercise make Biggest Loser Diet is one of the top 3 diets for quick weight loss.